Dave Cooley has drawn maps of an assortment of Northern Pacific subdivisions for use in the Mainstreeter and our web site. ​PDF Files Jim Mattson scanned the Jim Fredrickson and Walt Ainsworth title plat map collections at the PNRA and assembled them into paginated PDF files. These maps show the right-of-way in the context of property purchases and leases. Currently the title plats are only from the Tacoma Division (with one from the Idaho Division), but we are working to find title plats from other NP divisions. Note: The map title blocks have been removed from these scans. ​​​NP Station Plats Images ​These NP Station maps show the area of a town surrounding its railroad station. You can open a lower resolution image and then increase the map's size by clicking in the lower right corner of the image. The images come from a set of Aperture Cards prepared by the Burlington Northern from the original maps. If you need a greyscale scan of one of these maps, send an email to: NPRHAResearch@hotmail.com. 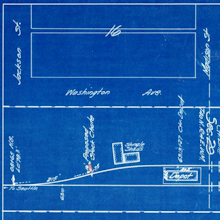 ​NP West-End Archive Map Collection ​Database ​This database shows maps in the NPRHA collection at the West-End Archive in Burien which have been scanned and are available to the interested public. This searchable database is being expanded to include all the NP maps in the collection. If you don't see something you are seeking, email info@NPRHA.org and we will see if a scan is available but not in the database. To purchase a digital file, return to the Home page, select Company Store, open the Maps & Drawings page and follow the instructions. Evolution of ​NP Divisions ​PDF File ​Jan Taylor created a series of system-wide maps showing the evolution of NP divisions and their boundaries, based on a presentation by Jim Fredrickson, which was based on research done in 1956 by J. B. Klassen, Supervisor of Wages, NP Labor Relations Dept. ​WA_ID_MAP_INDEX ​Data Base ​Collection of maps from Washinton and Idaho stored at Jackson Street. Standard Plans of NP Structures Image ​Northern Pacific standard plans for structures built by the railroad, contributed by Dave Beach. ​List An index of all NP Standard Plans in the Schrenk and Iszley collections. NP Drawing Presentation​ PDF​ ​This presentation (in two parts) provides an overview of Northern Pacific Railway drawings of various types. Presented at 2018 convention. 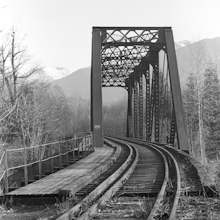 Instructions for through, accurate and uniform inspection of all bridges, culverts and waterways on the property of the Northern Pacific Railway. Contributed by Gary Tarbox. Bridge Painting Instructions ​Image Instructions for field maintenance painting of steel bridges on the property of the Northern Pacific Railway. ​Bridge Book ​Image ​This copy of the NP bridge book was last updated to 1968 conditions. Click the page to make image larger. Than click lower right corner of resulting image to magnify to maximum. Switch to Detail View to filter and find a specific page or use word search. The full posting of this book is underway. ​Maintenance Rules of Northern Pacific in 1918 ​Image ​This is a set of images from the pages of the official Northern Pacific Railway Maintenance Rules booklet, published June 15, 1918. Thanks to Tim Peterson for contributing this material. ​Prairie Line History ​Web Page ​The South Thurston County area of Washington State had the privilege of being located on the original NP mainline between Seattle and Portland. 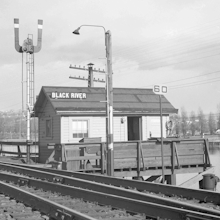 The segment ran from Tacoma, Washington to Tenino, Washington, was known in timetables as the "Prairie Line" and was the Fourth Sub-division of the Tacoma Division. Read about this depot's striking design on the Cass Gilbert Society website. 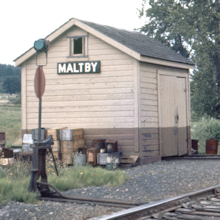 ​Jim Fredrickson Station Photos ​Image ​Jim Fredrickson has authored three books of Northern Pacific images and is an active member of the NPRHA. Photos from Jim's collection of are available by sending an email to: jimfrednpvet@harbornet.com. The link at left is a filtered view of his collection to show just the station photos. See also information on coal dock operations, locations, and capacities on this site, in the Other Operations Info category on the Operations & Traffic page. ​List Authorization for Expenditure files from the Tacoma Division preserved at PNRA from the Fredrickson and Tacoma Public Library collections. ​NP AFE Indexes for Idaho, Rocky Mtn & Yellowstone Divisions Scanned ​Cards ​Card indexes for stations on the Idaho, Rocky Mountain, and Yellowstone Divisions. The last two divisions came from Montana Rail Link and show AFE from roughly 1930 to 1984. Most of the AFEs referenced are preserved at the West-End Archive in Burien, Washington. 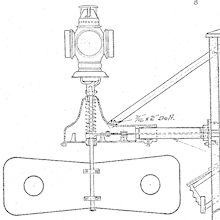 ​NP Numerical Register of AFEs ​PDFs ​This is a partial AFE index, most likely from the Mechanical Department, containing shop equipment, MOW machinery, automobiles, and 5000 series AFEs for rolling stock, freight cars, passenger cars, and locomotives. Also includes some subsidiary lines. Condensed profile and track charts are used by train crews to learn the Northern Pacific Lines. Alan Eisenberg has scanned his set of 1970 charts for posting our web site. See the indexes for each division for details. Alan Eisenberg contributed diagrams showing the general layout of the major yard facilities of the Northern Pacific in the 1960s. ​BNSF Track Segments ​PDF ​Version 10 of current, abandoned and sold lines compiled by Alan Eisenberg from many sources of the originating railroads, including the Northern Pacific. 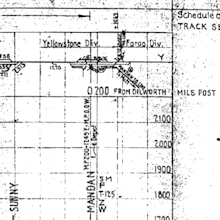 ​Station Histories of the BNSF Lines ​PDF ​This list includes abandoned, sold, or current listings of all BNSF Stations by track segments and their predecessor companies. Alan Eisenberg led this project, Roger Taylor did most of the work for the Frisco segments. and Keel Middleton proofed the Santa Fe sections (Revision B). ​BNSF Unnumbered Track Segments and Stations List Version 10 Revision B​​ ​PDF ​Version 10, Revision B of un-numbered current, abandoned and sold lines and station list, compiled by Alan Eisenberg from many sources of the originating railroads, including the Northern Pacific. ​Station Roster of 1899 ​List ​A list of active NP stations as of this revision of Circular No. 21 dated January 1899. Branch station numbers show the distance from the branch's intersection with the main Line. Main line station numbers are the distance from Ashland WI. By the original charter, branch lines were operated as independent railroads outside a division before the 1896 NP Reorganization. Contributed by Paul Curtiss. ​Station Roster of 1922 ​List ​List of stations on the Northern Pacific mainline and branch lines active in April 1922. Source: List of Officers, Agents, Stations, Etc. Number 26. Prepared by Paul Curtiss. ​Station Roster of 1947 ​List ​List of stations on the Northern Pacific mainline and branch lines active in July 1947. Source: List of Officers, Agents, Stations, Etc. Number 44. Prepared by Peter Thompson. ​Freight Conductor's Record 1899 ​List ​A list of active NP stations as of this revision of Circular No. 21 dated January 1899. Branch station numbers show the distance from the branch's intersection with the main Line. Main line station numbers are the distance from Ashland WI. By the original charter, branch lines were operated as independent railroads outside a division before the 1896 NP Reorganization. Contributed by Paul Curtiss. ​Stations of Current Idaho Division in 1901 ​Web Page ​Northern Pacific form 1451 dated 9-23-1901 FREIGHT CONDUCTOR'S RECORD has a list of all stations with their numbers which are miles from Ashland. The Rocky Mountain Division at that time was from Helena to Hope and the Idaho Division from Hope to Ellensburg. Complied by Jim Fredrickson. 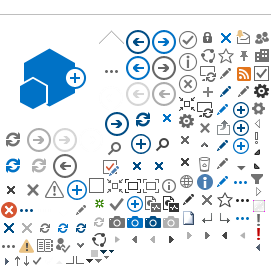 ​PDF ​These diagrams of the NP terminals circa 1968-70 were originally drawn by the NP. ​Officers, Agents & Stations Books ​PDF ​See also various Officers, Agents & Stations Books on this site, in the category of the same name on the Operations & Traffic page.